This course will qualify you to teach our Core Proficiency Award Scheme within a club or leisure centre environment. Award scheme coaching is a great way to get involved with coaching gymnastics, even if you are new to the sport. You get to coach gymnastics within a fun environment, supporting participants in the development of new skills through dynamic pulse raising, strength and flexibility exercises. 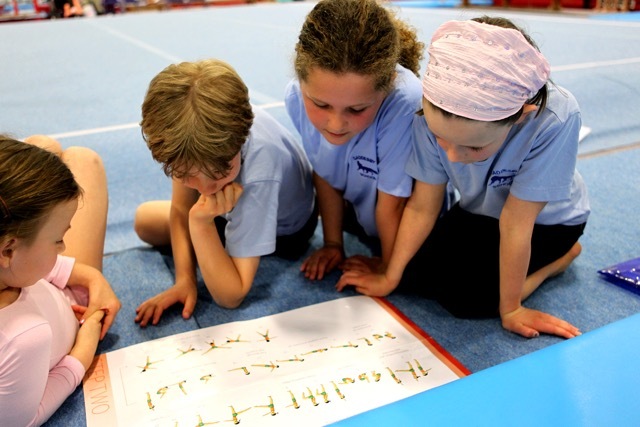 You can deliver fun gymnastics through detailed workcards, which include exciting activities and exercises for participants to follow. You get to work with both female and male participants ranging from ages five to eleven. Many of our award scheme coaches are parents, teachers or gymnasts. Interested parents, teachers, nursery nurses, volunteers and older participants (14 years old at the start of the course). Learners must be at least 14 years old on the first day of the course. An informative course based on a structured approach to skill and physical development. £65 for British Gymnastics members and £100 for non BG members. Tailor the material to be suitable for the age group, provide stimulating sessions and essentially, make sessions FUN. Certificate of attendance will be issued at the end of the course.